We are delighted to present a guest post from Perry Mills, the director of Edward’s Boys (a theatre group from King Edward VI school, Stratford-upon-Avon, where he is also Deputy Head). Edward’s Boys are soon to be performing The Woman in the Moon on several dates across the country. Perry has also blogged on our site about this forthcoming production. The Thomas Nashe Project (in the persons of Professors Hadfield and Richards) had invited Edward’s Boys to attempt to stage Nashe’s only solo-authored play, Summer’s Last Will and Testament in September 2017. We would perform at home in Stratford-upon-Avon, at the Sam Wanamaker Playhouse and in the Great Hall of the Old Palace School in Croydon, the actual location of the first performance in the presence of Whitgift, Archbishop of Canterbury, in September 1592. One aspect of our rehearsal process included a workshop at the Before Shakespeare conference in late August at the kind invitation of Andy Kesson. Initially, I was unsure that we might be able to provide anything worthwhile. I offer an extract of my email exchange with Andy following an initial conversation. PERRY. As you will be well aware, in my rehearsals very little happens. We sit around a table for weeks reading out loud to each other, talking about what it might all mean, and praying that inspiration will come. ANDY. When I say ‘rehearsal’, I don’t mean show-us-your-normal-rehearsal-process-which-you’d-really-rather-not-share, I mean share-something-you’re-comfortable-sharing-that-is-currently-in-pre-production-stage. And just to be clear, I don’t want to see authenticity, whatever that is. You suggested, when we spoke, that you might have a scene to share: that’s what we’d like. Something playful, performative and free from any sense of authenticity. This gave us a wonderful opportunity to ‘play’ with the text and explore how this ‘shewe’ might work in front of an audience. There’s a jester, a stand-up comic, ad-libbing, insulting the audience as well as confiding to them; satiric monologues of enormous length; and the performance of age and infirmity by youths. Frankly, this is the great excitement of staging these texts today. Many haven’t been seen since the sixteenth century. What happens when you perform them in front of an audience? Summer’s Last Will and Testament is deeply weird and I grew to love it over the production period: its extraordinary linguistic scope and ambition; its constantly surprising structure; its subversive and provocative comedy; and its poignancy. I choose to state all that boldly – a la Nashe – in order to spite those people who believe it to be wordy, repetitive, and conventional. The play has been found wanting for “a lack of narrative and dramatic tension”. That sounds just like a pompous English teacher – and I should know. However, the narrative is far more complex than sorting out who will take over after Summer pops his clogs. Spoiler Alert! We all know that it will be Autumn – and so do the characters. So what is Summer playing at? I believe he’s trying to defer the inevitable. Don’t we all? None of us wants Summer to end. No school pupil – or teacher – wants to go back in September, but it’s inevitable. And we cope by working hard and having fun; indeed thereby having fun. Joking, singing, dancing, putting on a play all help. As do sandwiches, chocolate and beer. But not during lessons, of course. Although we were pretty early in what was a very curtailed rehearsal period, the conference gave us the chance to test something of its performance potential in front of an informed, expectant and supportive audience. Here are the pages I plan to focus on – although we might not get through all of it – or much at all. I’ll act as the MC and link man. We’ll stop a lot and ask for comments, suggestions from the audience. Thanks for the invitation; why these three students? This plan was as loose as it sounds. I sent it across to the three actors (George – Winter, Dan – Will Summers and Rory – Summer) the night before, and we talked it through on the train down to London. In part, that was owing to a lack of time to prepare since we were all otherwise engaged in the run-up. I should have liked to have included Autumn as part of the group, but he was at the Reading Festival! However, it was also a deliberate ploy on my part. I have a profound belief that part of the appeal of the Boys’ Companies for the boys themselves, yes, but also for audiences, was that element of ‘playfulness’. In some sense, it was all a ‘game’; important, yes, but not in the same way that it was for the ‘professionals’. There is no sense in the work that we do that we are attempting to re-create ‘Original Practices’ (whatever that may mean). I want the show to work for a paying audience today. We do it ‘all boy’ – that is all. However, as Lucy Munro commented several years ago, although Edward’s Boys provide no answers, they might provide really good questions. And, every now and then, the boys might offer ‘glimpses’. No more, no less. I had confidence in the three students who were accompanying me, and I wanted them to appreciate both my confidence in them and the challenges posed by an audience of scholars with high expectations. If they could ‘play’ the text at this stage in proceedings, there was every chance that it would work a month later. I was keen for them to learn. I am, after all, a teacher. When we arrived Andy Kesson, generous and supportive as ever, welcomed us and encouraged us to do whatever we wanted and wherever we wanted to do it. His welcome was above all relaxed and encouraging – and, consequently, perfect. It was beautiful a summer’s afternoon. The play concerns the seasons. We immediately decided that we would begin the formalities in the lecture hall and then lead the delegates out into the delightful grounds of the University of Roehampton and take advantage of that ‘natural’ performance space with its resonances of the seasonal cycle. We thought it might even have the advantage of wrong-footing our expectant audience. The Tom Nashe dummy (so memorably performed by Holger Syme). The adult-size dummy was built but simply proved too unwieldy. As ever, the solution – a puppet, Will’s bauble – proved far more successful. Winter’s ‘twelve and a half minute invective against scholars’ – we wanted to gauge how such a massive and provocative speech would work, if at all. At the conference it provoked a lot of self-mocking laughter, a massive ‘in-joke’. In performance at school, George pushed the idea of Winter relishing the speech, enjoying his attacks on the audience, offering up sarcastic smiles, revelling in his control of the stage, delighting in the affect this had on Autumn. In London and Croydon, however, he made the speech more of a desperate last ditch attempt at power, attacking the audience in a much more vicious way rather than singling some out and recruiting the others onside against Autumn. He treated the collective with contempt, highlighting Winter’s bitter, puritanical view of the world. The session/rehearsal/workshop seemed to be appreciated by the delegates, but of far greater importance for us was the fact that it was an enormous step forward for the boys, the ‘players’. Here was clear evidence that this play had performance potential and the satire and elements of stand-up comedy might actually work. Confidence grew… As did the company dynamic. When these three students, who were all ‘ex-Edward’s Boys’, returned to rehearsals in September their experience in the gardens and halls of the University of Roehampton fed directly into what the company as a whole was able to deliver. 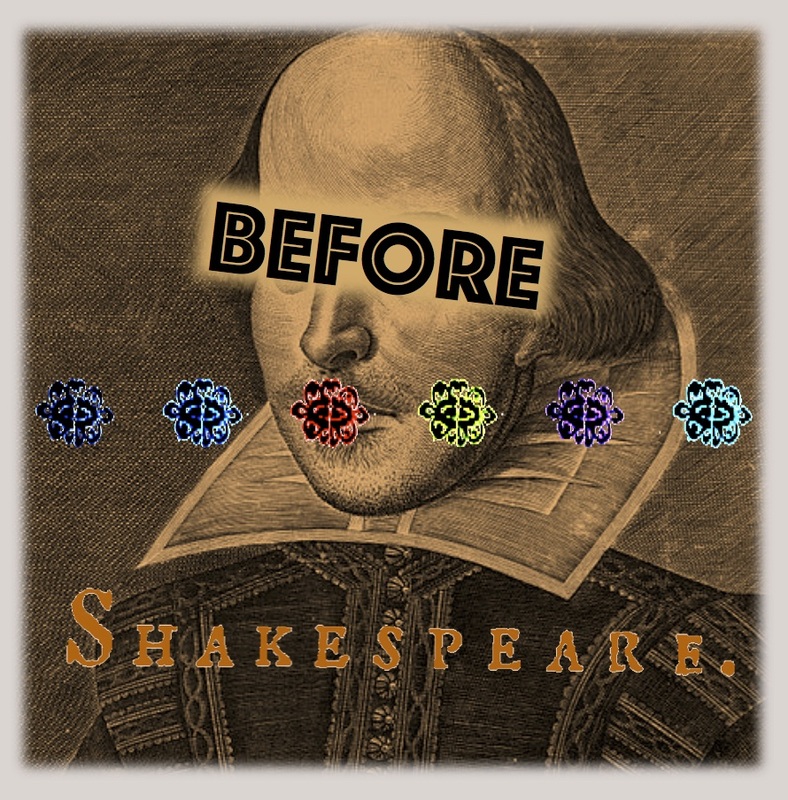 Thank you, Before Shakespeare Project.